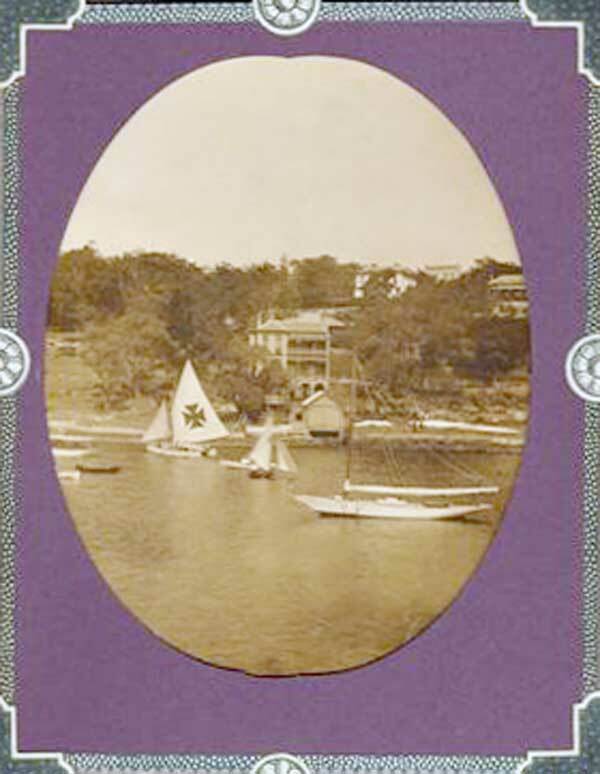 Caerhays, Elamang Avenue, Kirribilli (sometimes referred to as North Sydney in early records) New South Wales was built by Harry and Jane for their family sometime after 1880 and remained the family home until Julias death in 1943. My grandmother, Annie Whitchurch inherited the home and she kept it as a boarding house for a number of years, however as she could not afford to pay the death duties of the time she was forced to sell it. The home still stands and is heritage listed and fully restored in the hands of a private family. I have been through the home recently and I noted that the fire places are identical to the ones Harry and Jane had in their London home. I gave the current owners a photograph of the house as it was back in the late 1800s and the family photograph taken in the house and I believe they hung them in the house which was a lovely gesture. My mother Dorothy had fond memories of visiting her great Aunts Annie & Julia at Caerhays for afternoon tea. She would catch the ferry across from Circular Quay in Sydney over to Kirribilli with her mother Annie. It was always a very formal occasion and gloves and hat had to be worn and a very English afternoon tea would be served. 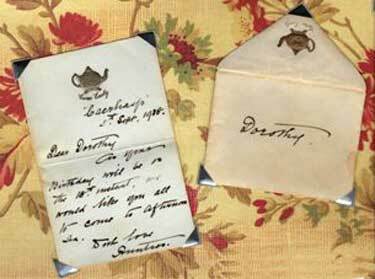 Invitation to tea at Caerhays.